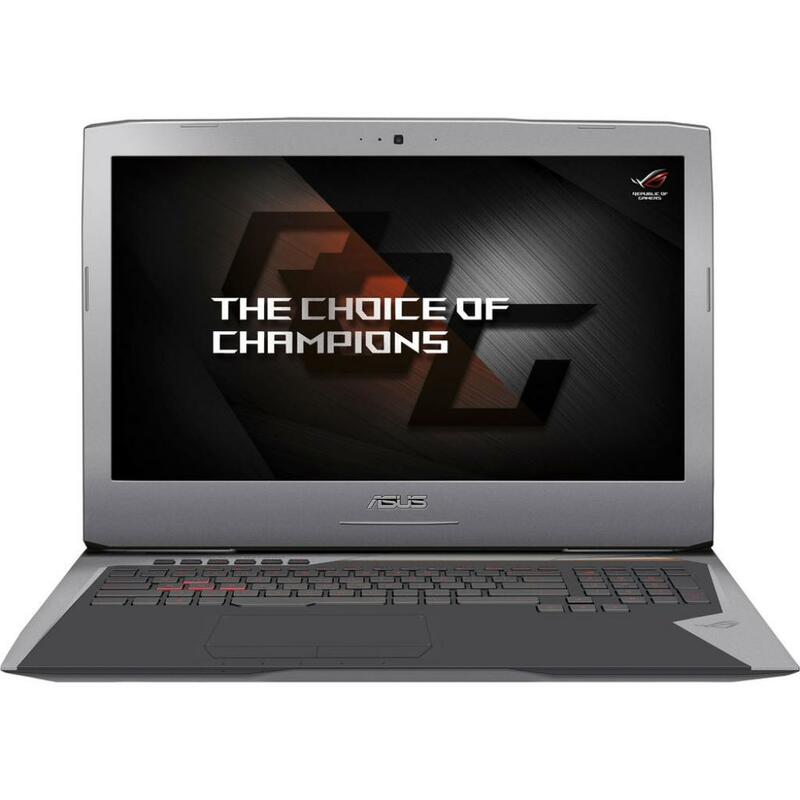 N705UD-GC094 Ноутбук ASUS N705UD (N705UD-GC094) 17.3', FullHD (1920 х 1080), IPS, Intel Core i5 8250U (1.6 - 3.4 ГГц), 12 ГБ, 1 ТБ, 128 ГБ, NVIDIA GeForce GTX 1050, 4 ГБ, No ODD, Bluetooth, Wi-Fi, LAN (RJ-45), Endless OS, 3 cell, 2.1 кг, Dark Grey 12 мес. N705UN-GC049 Ноутбук ASUS N705UN (N705UN-GC049) 17.3', FullHD (1920 х 1080), IPS, Intel Core i5 8250U (1.6 - 3.4 ГГц), 12 ГБ, 1 ТБ, 128 ГБ, NVIDIA GeForce MX150, 4 ГБ, No ODD, Bluetooth, Wi-Fi, LAN (RJ-45), Endless OS, 3 cell, 2.1 кг, Dark Grey 12 мес. 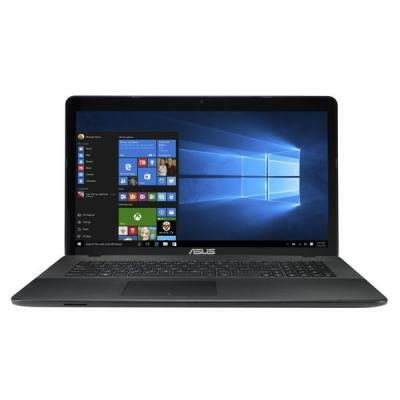 N705UN-GC049T Ноутбук ASUS N705UN (N705UN-GC049T) 17.3', FullHD (1920 х 1080), IPS, Intel Core i5 8250U (1.6 - 3.4 ГГц), 12 ГБ, 1 ТБ, 128 ГБ, NVIDIA GeForce MX150, 4 ГБ, No ODD, Bluetooth, Wi-Fi, LAN (RJ-45), Windows 10, 3 cell, 2.1 кг, Dark Grey 12 мес. 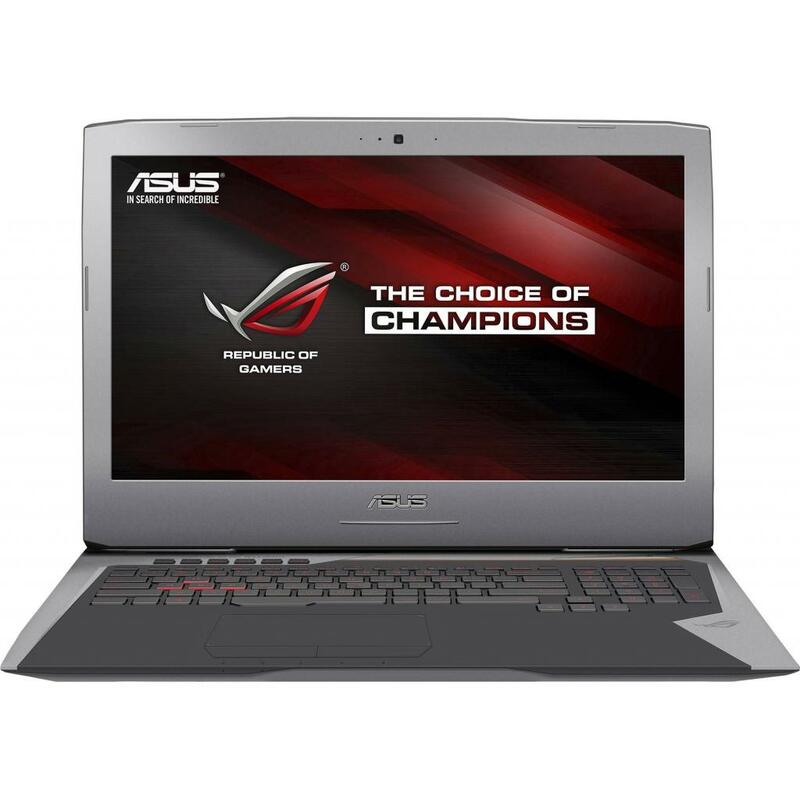 N705UN-GC050R Ноутбук ASUS N705UN (N705UN-GC050R) 17.3', FullHD (1920 х 1080), IPS, Intel Core i5 8250U (1.6 - 3.4 ГГц), 12 ГБ, 1 ТБ, 128 ГБ, NVIDIA GeForce MX150, 4 ГБ, DVD±RW, Bluetooth, Wi-Fi, LAN (RJ-45), Windows 10 Pro, 3 cell, 2.1 кг, Dark Grey 12 мес. N705UQ-GC091 Ноутбук ASUS N705UQ (N705UQ-GC091) 17.3', FullHD (1920 х 1080), IPS, Intel Core i5 8250U (1.6 - 3.4 ГГц), 8 ГБ, 1 ТБ, 128 ГБ, NVIDIA GeForce GT 940MX, 2 ГБ, No ODD, Bluetooth, Wi-Fi, LAN (RJ-45), Endless OS, 3 cell, 2.1 кг, Dark Grey 12 мес. N705UQ-GC092T Ноутбук ASUS N705UQ (N705UQ-GC092T) 17.3', FullHD (1920 х 1080), IPS, Intel Core i5 8250U (1.6 - 3.4 ГГц), 6 ГБ, 1 ТБ, 128 ГБ, NVIDIA GeForce GT 940MX, 2 ГБ, No ODD, Bluetooth, Wi-Fi, Gigabit Ethernet, Windows 10, 3 cell, 2.1 кг, Dark Grey 12 мес. 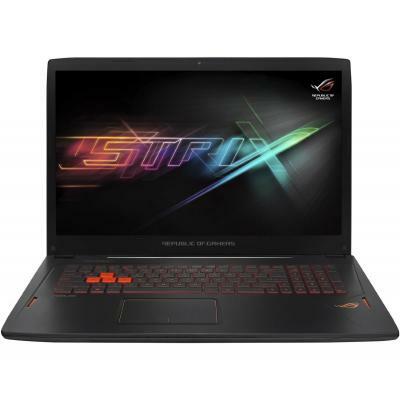 X705UA-GC040 Ноутбук ASUS X705UA (X705UA-GC040) 17.3', FullHD (1920 х 1080), IPS, Intel Core i3 7100U (2.4 ГГц), 6 ГБ, 1 ТБ, Intel HD Graphics 620, No ODD, Bluetooth, Wi-Fi, LAN (RJ-45), Endless OS, 3 cell, 2.1 кг, Dark Grey 12 мес. 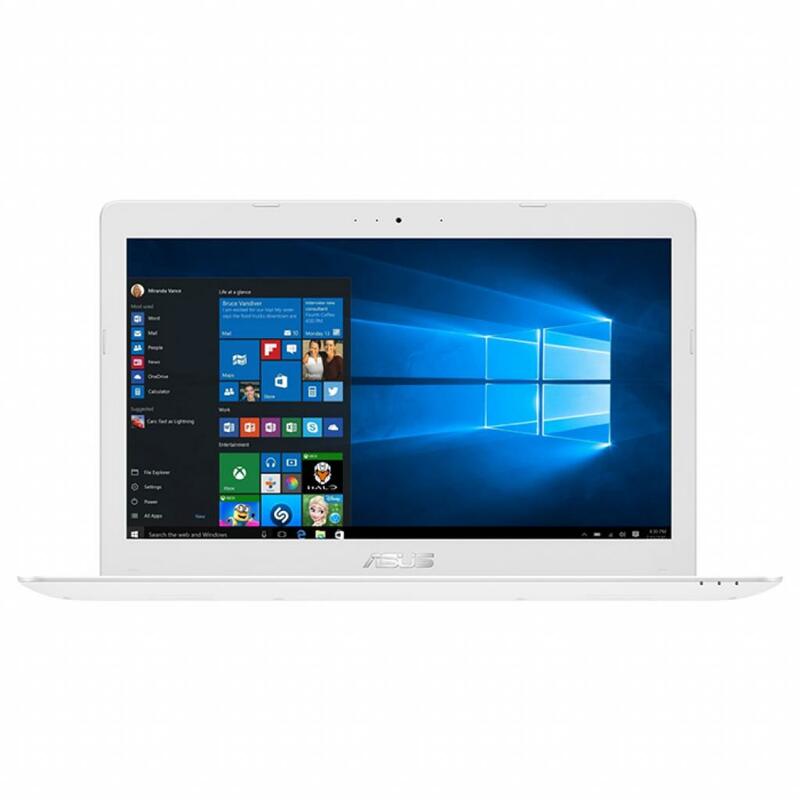 X705UV-GC025 Ноутбук ASUS X705UV (X705UV-GC025) 17.3', FullHD (1920 х 1080), IPS, Intel Core i3 7100U (2.4 ГГц), 6 ГБ, 1 ТБ, NVIDIA GeForce 920MX, 2 ГБ, No ODD, Bluetooth, Wi-Fi, LAN (RJ-45), Endless OS, 3 cell, 2.1 кг, Dark Grey 12 мес. X705UV-GC025T Ноутбук ASUS X705UV (X705UV-GC025T) 17.3', FullHD (1920 х 1080), IPS, Intel Core i3 7100U (2.4 ГГц), 6 ГБ, 1 ТБ, NVIDIA GeForce 920MX, 2 ГБ, No ODD, Bluetooth, Wi-Fi, LAN (RJ-45), Windows 10, 3 cell, 2.1 кг, Dark Grey 12 мес. 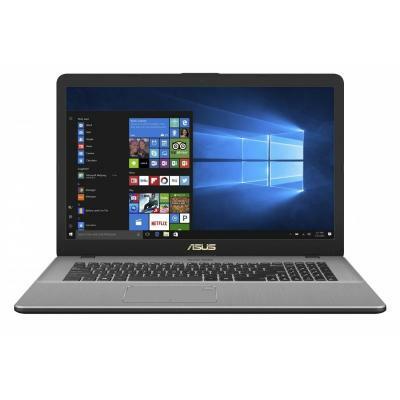 X705UV-GC026T Ноутбук ASUS X705UV (X705UV-GC026T) 17.3', FullHD (1920 х 1080), IPS, Intel Core i3 7100U (2.4 ГГц), 6 ГБ, 1 ТБ, 128 ГБ, NVIDIA GeForce 920MX, 2 ГБ, внешний DVD-SuperMulti, Bluetooth, Wi-Fi, LAN (RJ-45), Windows 10, 3 cell, 2.1 кг, Dark Grey 12 мес. 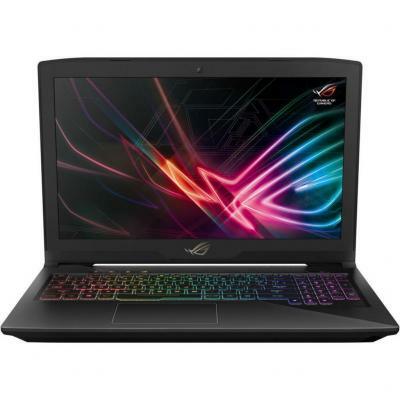 X705UV-GC030 Ноутбук ASUS X705UV (X705UV-GC030) 17.3', FullHD (1920 х 1080), IPS, Intel Core i3 7100U (2.4 ГГц), 6 ГБ, 1 ТБ, NVIDIA GeForce 920MX, 2 ГБ, No ODD, Bluetooth, Wi-Fi, LAN (RJ-45), Endless OS, 3 cell, 2.1 кг, White 12 мес. 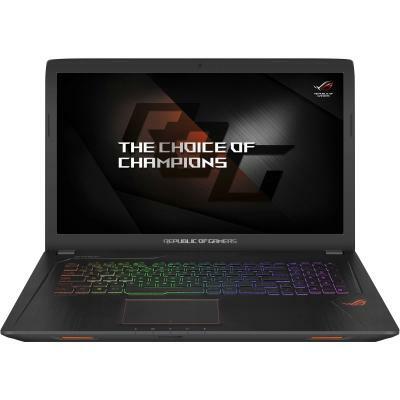 X705UV-GC128 Ноутбук ASUS X705UV (X705UV-GC128) 17.3', FullHD (1920 х 1080), IPS, Intel Core i5 8250U (1.6 - 3.4 ГГц), 8 ГБ, 1 ТБ, 128 ГБ, NVIDIA GeForce 920MX, 2 ГБ, No ODD, Bluetooth, Wi-Fi, LAN (RJ-45), Endless OS, 3 cell, 2.1 кг, Dark Grey 12 мес. 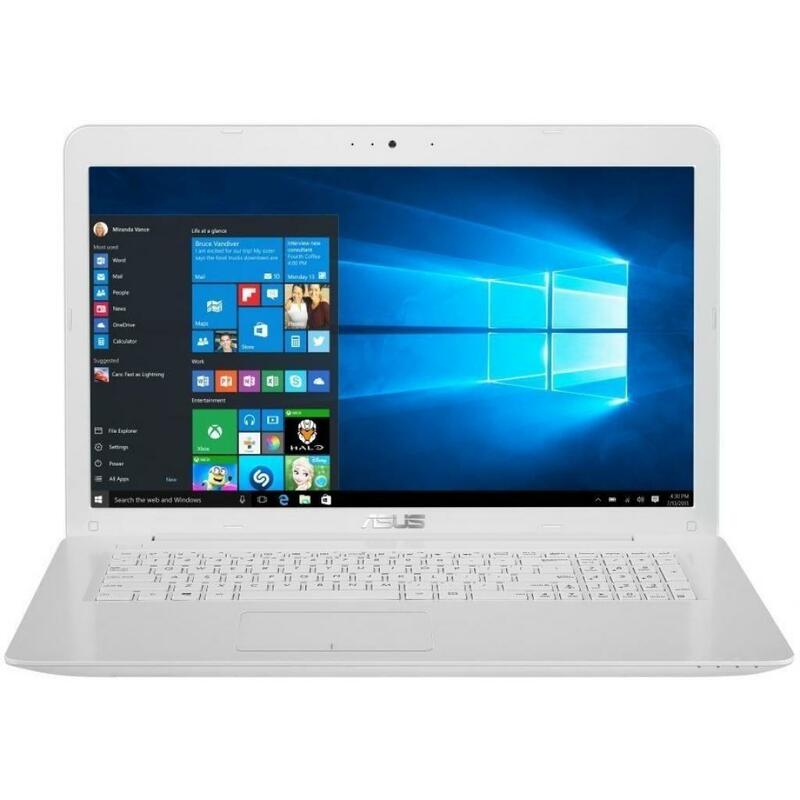 X705UV-GC130T Ноутбук ASUS X705UV (X705UV-GC130T) 17.3', FullHD (1920 х 1080), IPS, Intel Core i5 8250U (1.6 - 3.4 ГГц), 6 ГБ, 1 ТБ, 256 ГБ, NVIDIA GeForce 920MX, 2 ГБ, внешний DVD-SuperMulti, Bluetooth, Wi-Fi, LAN (RJ-45), Windows 10, 3 cell, 2.1 кг, Dar 12 мес. X705UV-GC131 Ноутбук ASUS X705UV (X705UV-GC131) 17.3', FullHD (1920 х 1080), IPS, Intel Core i5 8250U (1.6 - 3.4 ГГц), 8 ГБ, 1 ТБ, 128 ГБ, NVIDIA GeForce 920MX, 2 ГБ, No ODD, Bluetooth, Wi-Fi, LAN (RJ-45), Endless OS, 3 cell, 2.1 кг, White 12 мес. 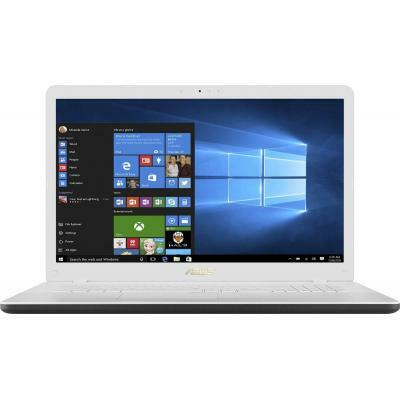 X705UV-GC133T Ноутбук ASUS X705UV (X705UV-GC133T) 17.3', FullHD (1920 х 1080), IPS, Intel Core i5 8250U (1.6 - 3.4 ГГц), 6 ГБ, 1 ТБ, 256 ГБ, NVIDIA GeForce 920MX, 2 ГБ, DVD±RW, Bluetooth, Wi-Fi, LAN (RJ-45), Windows 10, 3 cell, 2.1 кг, White 12 мес. 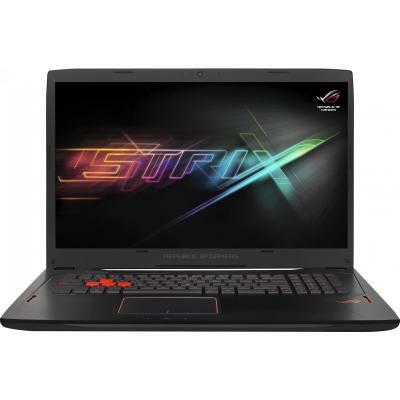 X756UA-T4357D Ноутбук ASUS X756UA (X756UA-T4357D) 17.3', FullHD (1920 х 1080), Intel Core i5 7200U (2.5-3.1 ГГц), 8 ГБ, 1 ТБ, Intel HD Graphics 620, DVD±RW, Bluetooth, Wi-Fi, LAN (RJ-45), DOS, 2 cell, 2.7 кг, White 12 мес. 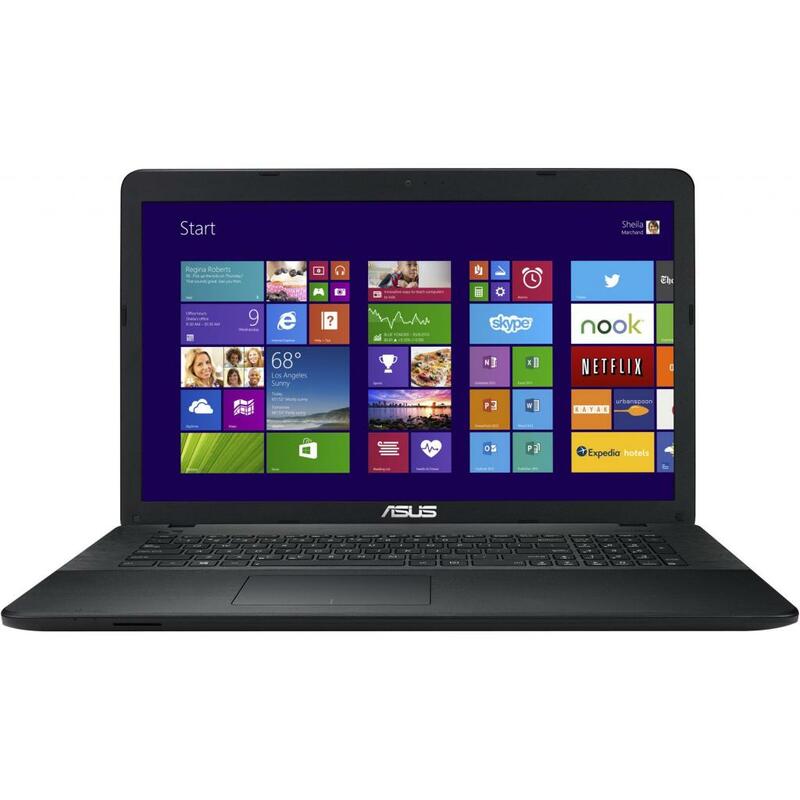 X756UA-TY208D Ноутбук ASUS X756UA (X756UA-TY208D) 17.3', HD+ (1600 x 900), TN+film, Intel Core i3 7100U (2.4 ГГц), 6 ГБ, 1 ТБ, Intel HD, DVD-SMulti, Bluetooth, Wi-Fi, LAN (RJ-45), DOS, 2 cell, 2.7 кг, White 12 мес. 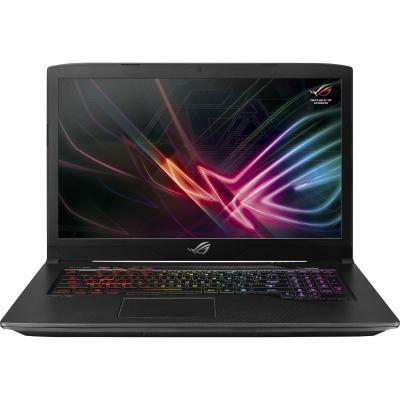 X756UA-TY353D Ноутбук ASUS X756UA (X756UA-TY353D) 17.3', HD+ (1600 x 900), Intel Core i3 7100U (2.4 ГГц), 6 ГБ, 1 ТБ, Intel HD Graphics 620, DVD-SMulti, Bluetooth, Wi-Fi, LAN (RJ-45), DOS, 2 cell, 2.7 кг, Dark Brown 12 мес. 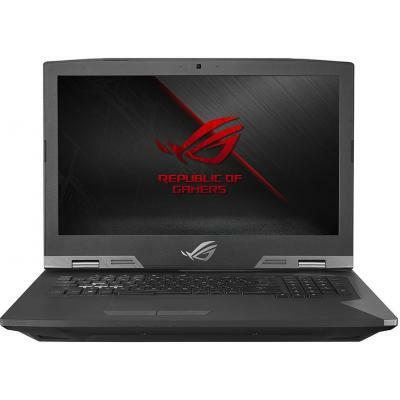 X756UA-TY356D Ноутбук ASUS X756UA (X756UA-TY356D) 17.3', HD+ (1600 x 900), Intel Core i3 7100U (2.4 ГГц), 6 ГБ, 1 ТБ, Intel HD Graphics 620, DVD±RW, Bluetooth, Wi-Fi, LAN (RJ-45), DOS, 2 cell, 2.7 кг, White 12 мес. 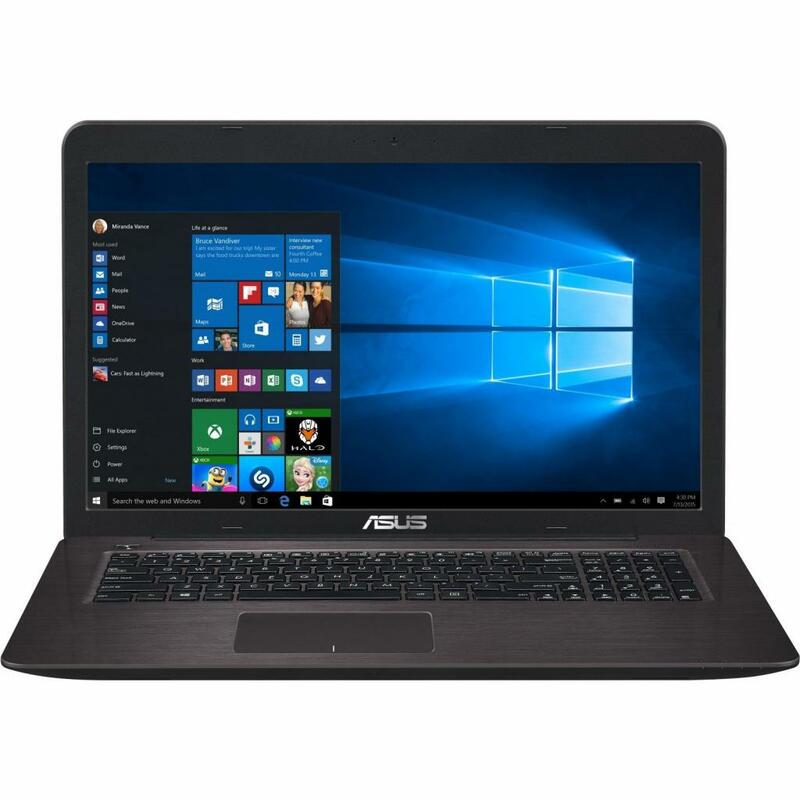 X756UQ-T4130D Ноутбук ASUS X756UQ (X756UQ-T4130D) 17.3', FullHD (1920 х 1080), TN+film, Intel Core i5 7200U (2.5-3.1 ГГц), 12 ГБ, 1 ТБ, NVIDIA GeForce GT 940MX, 2 ГБ, DVD-SMulti, Bluetooth, Wi-Fi, LAN (RJ-45), DOS, 2 cell, 2.7 кг, Dark Brown 12 мес. X756UQ-T4133D Ноутбук ASUS X756UQ (X756UQ-T4133D) 17.3', FullHD (1920 х 1080), TN+film, Intel Core i5 7200U (2.5-3.1 ГГц), 12 ГБ, 1 ТБ, NVIDIA GeForce GT 940MX, 2 ГБ, DVD-SMulti, Bluetooth, Wi-Fi, LAN (RJ-45), DOS, 2 cell, 2.7 кг, White 12 мес. X756UQ-T4255D Ноутбук ASUS X756UQ (X756UQ-T4255D) 17.3', FullHD (1920 х 1080), Intel Core i5 7200U (2.5-3.1 ГГц), 12 ГБ, 1 ТБ, NVIDIA GeForce GT 940MX, 2 ГБ, DVD-SMulti, Bluetooth, Wi-Fi, LAN (RJ-45), DOS, 2 cell, 2.7 кг, Dark Brown 12 мес. X756UQ-T4275D Ноутбук ASUS X756UQ (X756UQ-T4275D) 17.3', FullHD (1920 х 1080), Intel Core i5 7200U (2.5-3.1 ГГц), 12 ГБ, 1 ТБ, NVIDIA GeForce GT 940MX, 2 ГБ, DVD-SMulti, Bluetooth, Wi-Fi, Gigabit Ethernet, DOS, 2 cell, 2.7 кг, White 12 мес. X756UQ-T4332D Ноутбук ASUS X756UQ (X756UQ-T4332D) 17.3', FullHD (1920 х 1080), Intel Core i3 7100U (2.4 ГГц), 8 ГБ, 1 ТБ, NVIDIA GeForce GT 940MX, 2 ГБ, DVD±RW, Bluetooth, Wi-Fi, LAN (RJ-45), DOS, 2 cell, 2.7 кг, Dark Brown 12 мес. 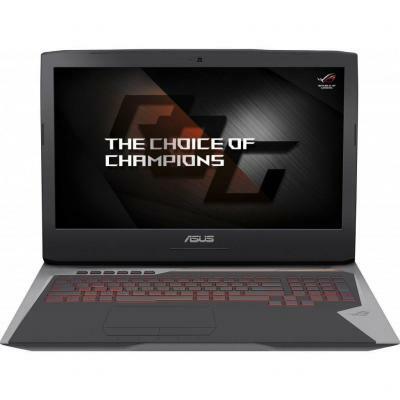 X756UQ-T4333D Ноутбук ASUS X756UQ (X756UQ-T4333D) 17.3', FullHD (1920 х 1080), Intel Core i3 7100U (2.4 ГГц), 8 ГБ, 1 ТБ, NVIDIA GeForce GT 940MX, 2 ГБ, No ODD, Bluetooth, Wi-Fi, LAN (RJ-45), DOS, 2 cell, 2.7 кг, White 12 мес. 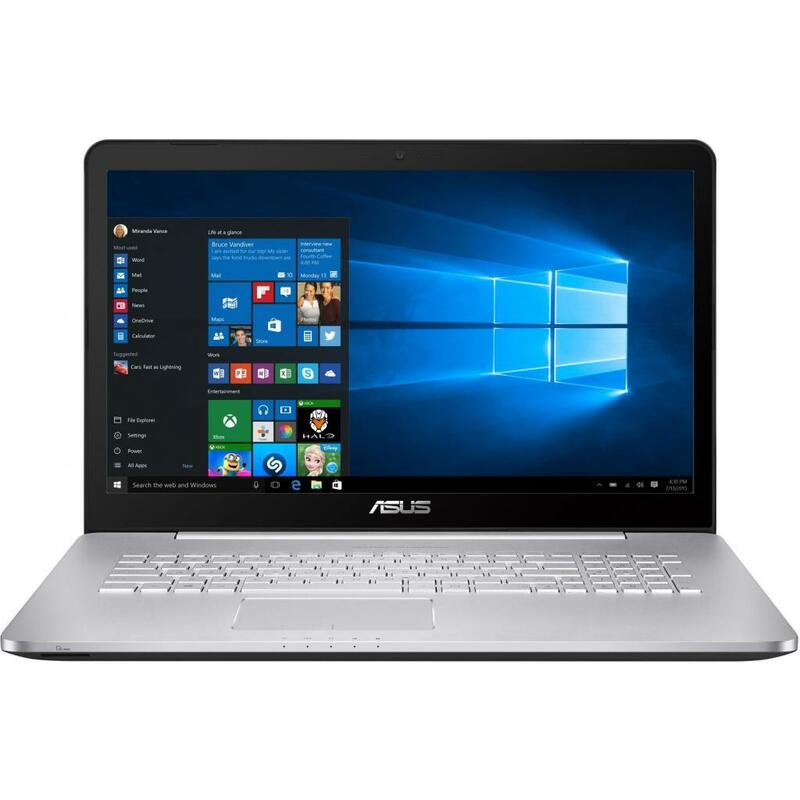 X756UQ-TY129D Ноутбук ASUS X756UQ (X756UQ-TY129D) 17.3', HD+ (1600 x 900), TN+film, Intel Core i3 7100U (2.4 ГГц), 8 ГБ, 1 ТБ, NVIDIA GeForce GT 940MX, 2 ГБ, DVD-SMulti, Bluetooth, Wi-Fi, LAN (RJ-45), DOS, 2 cell, 2.7 кг, Dark Brown 12 мес. 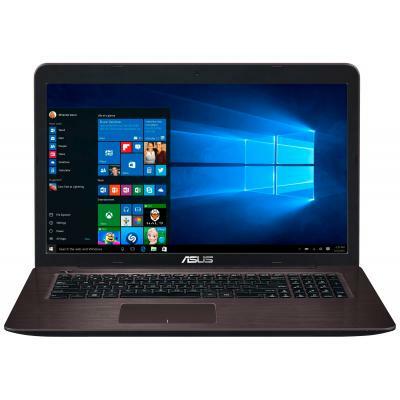 X756UQ-TY132D Ноутбук ASUS X756UQ (X756UQ-TY132D) 17.3', HD+ (1600 x 900), TN+film, Intel Core i3 7100U (2.4 ГГц), 8 ГБ, 1 ТБ, NVIDIA GeForce GT 940MX, 2 ГБ, DVD±RW, Bluetooth, Wi-Fi, LAN (RJ-45), DOS, 2 cell, 2.7 кг, White 12 мес. 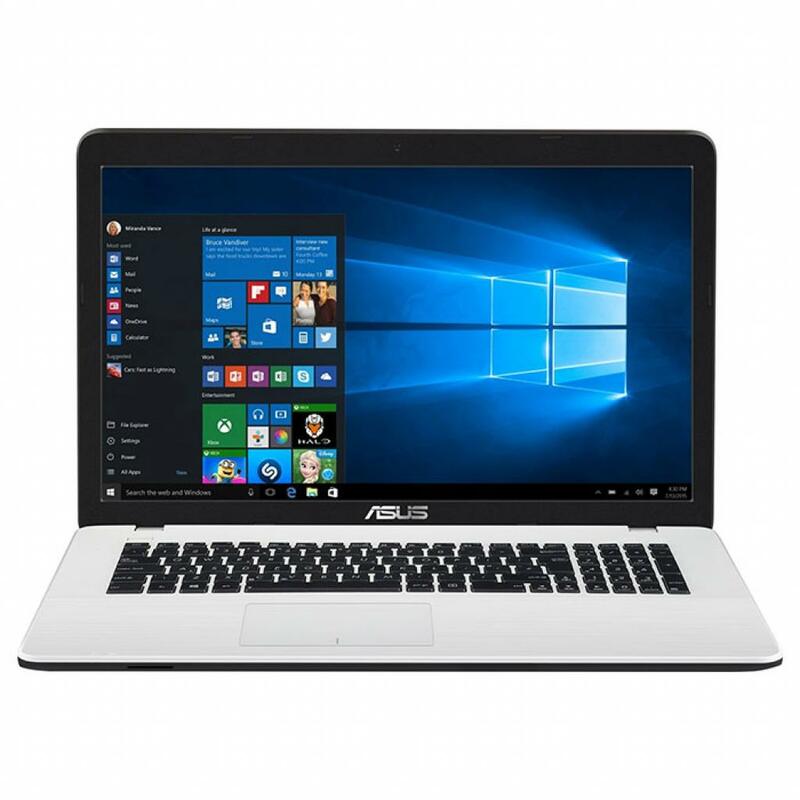 X756UQ-TY272D Ноутбук ASUS X756UQ (X756UQ-TY272D) 17.3', HD+ (1600 x 900), Intel Core i3 7100U (2.4 ГГц), 8 ГБ, 1 ТБ, NVIDIA GeForce GT 940MX, 2 ГБ, DVD±RW, Bluetooth, Wi-Fi, LAN (RJ-45), DOS, 2 cell, 2.7 кг, Dark Brown 12 мес. X756UQ-TY274D Ноутбук ASUS X756UQ (X756UQ-TY274D) 17.3', HD+ (1600 x 900), Intel Core i3 7100U (2.4 ГГц), 8 ГБ, 1 ТБ, NVIDIA GeForce GT 940MX, 2 ГБ, DVD-SMulti, Bluetooth, Wi-Fi, Gigabit Ethernet, DOS, 2 cell, 2.7 кг, White 12 мес. Ноутбук Asus X75VB-TY008D (Core i3-3120M (2.5GHz),4GB DDR3 1600,750MB,DVD-SM,17.3"HD+ LED,GeForce GT740M 2GB,VGA,HDMI,GLAN,WiFi b/g/n,BT4.0,WC HD,USB3.0,2xUSB2.0,CR3in1,6cell 4400mAH,DOS,3.0kg,White) (X75VB-TY008D) мес. 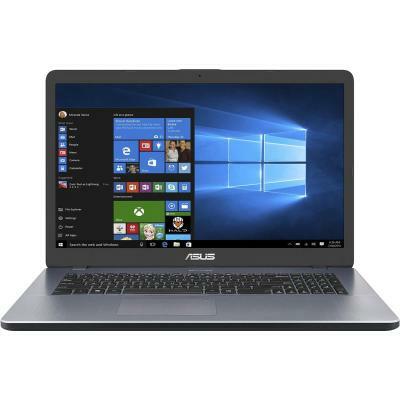 Ноутбук Asus X75VC-TY021D (Core i3-3120M (2.5GHz),4GB DDR3 1600,500GB,DVD-SM,17.3"HD+ LED,GeForce GT720M 2GB,VGA,HDMI,GLAN,WiFi b/g/n,BT4.0,WC HD,USB3.0,2xUSB2.0,CR3in1,6cell 4400mAH,DOS,3.0kg,Black) (X75VC-TY021D) мес. 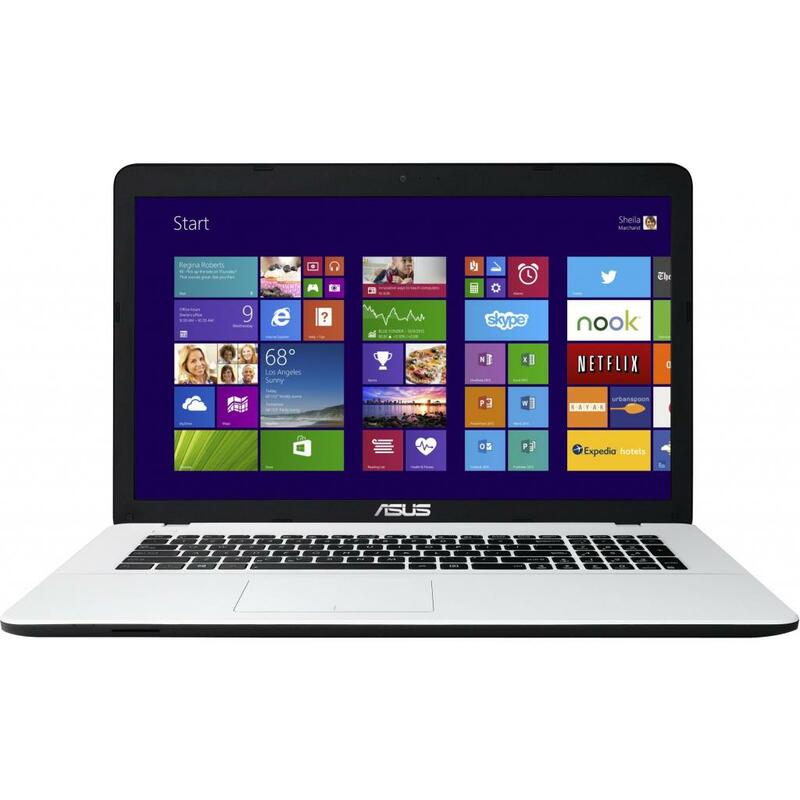 ASUS X75VC-TY023D White 17.3" HD+ LED/Core i3-3120M/4GB/500GB/GF GT 720M/DVD SM/Wi-Fi /BT/WCam/DOS/3kg 12 мес. Ноутбук Asus X75VD-TY202D (Core i3-3120M (2.5GHz),4GB DDR3 1600,500GB,DVD-SM,17.3"HD+ LED,GeForce GT610M 1GB,VGA,HDMI,GLAN,WiFi b/g/n,BT4.0,WC HD,USB3.0,2xUSB2.0,CR3in1,6cell 4400mAH,DOS,3.0kg,Dark Blue) (X75VD-TY202D) мес.